German drug store DM launched a new brand in cooperation with two young hairstylists. 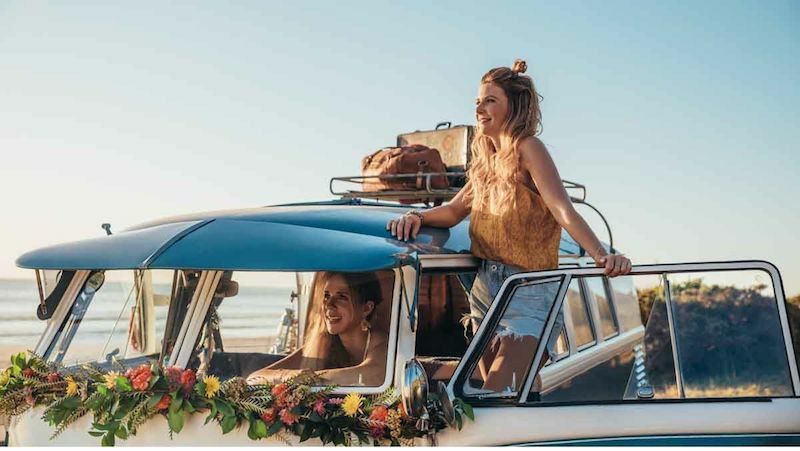 The two gorls launched their concept 'Langhaarmädchen' (Long haired girl) while travelling through Australia, offering hair cuts and hair styling on the go in their mini van and sharing their journey on Instaram. Since their return to Germany, they offered hair styles at festivals. Now they created their own hair product in cooperation with the drug store. The german drug store DM has a history of cooperating with influencer. However, 'Langhaarmdchen' is the first brand launched with independent hair stylists, which makes the cooperation even more authentic.